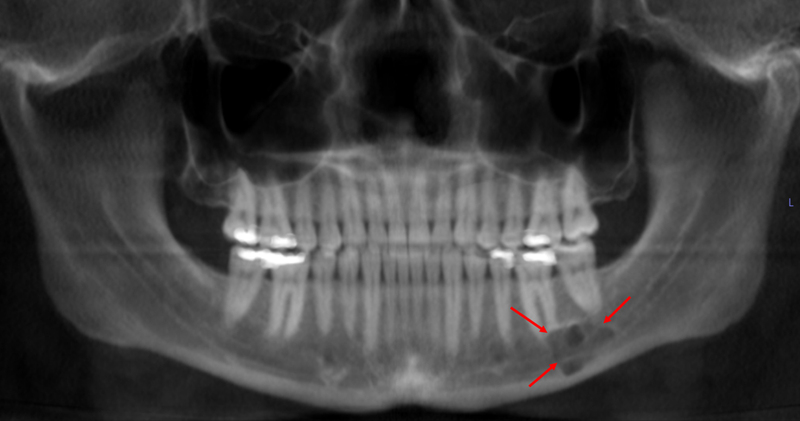 Pantomograph showing a radiolucent area associated with the maxillary right central incisor. 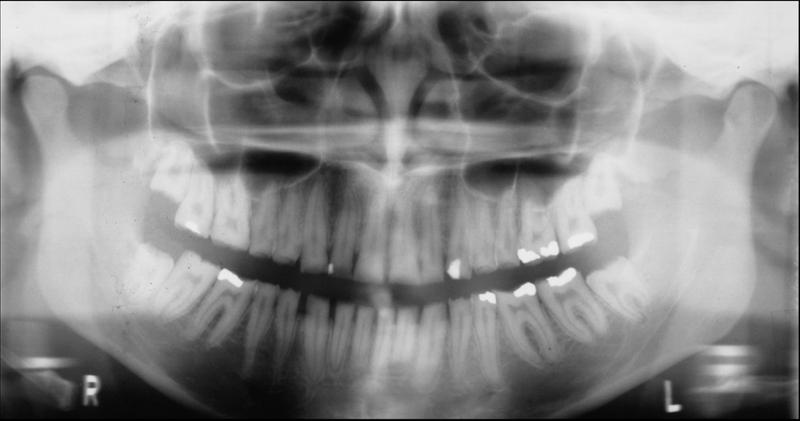 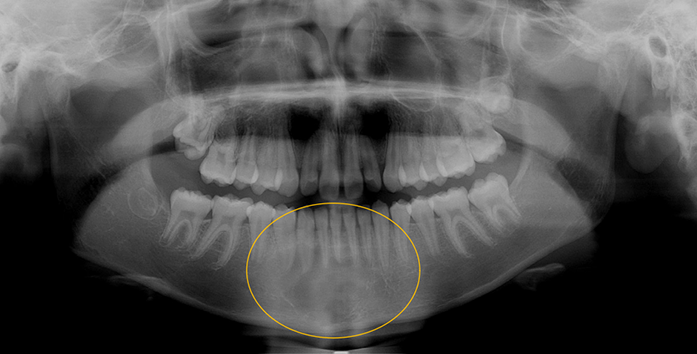 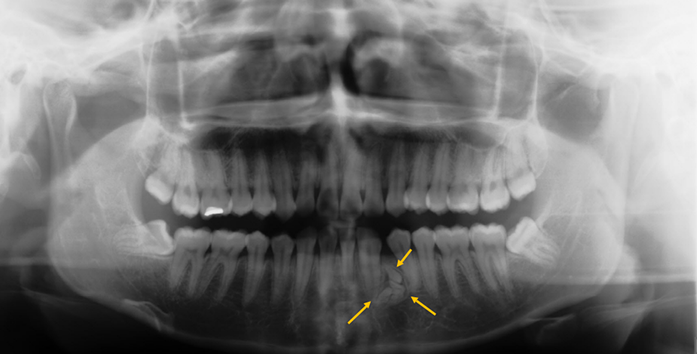 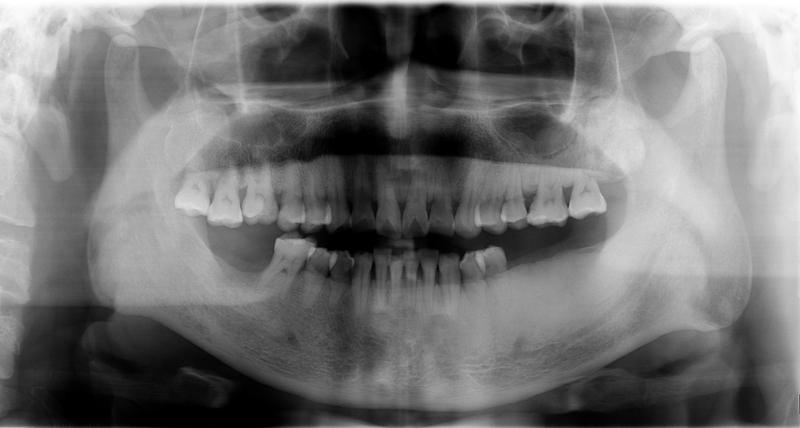 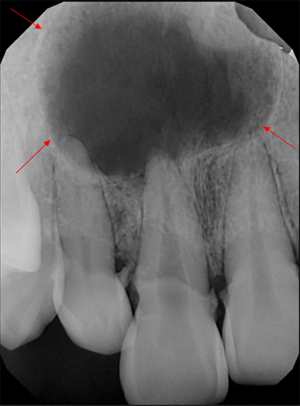 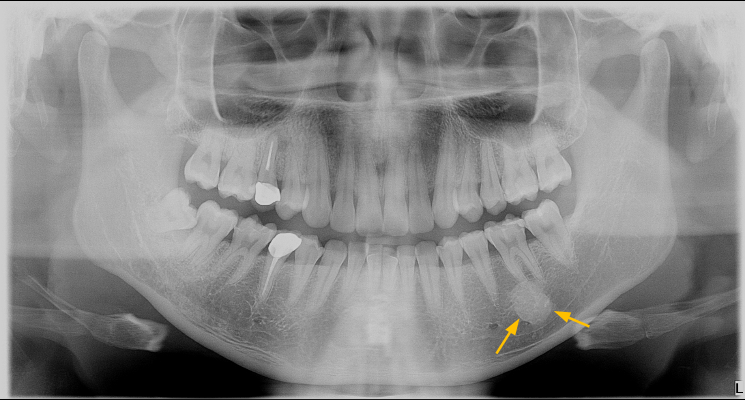 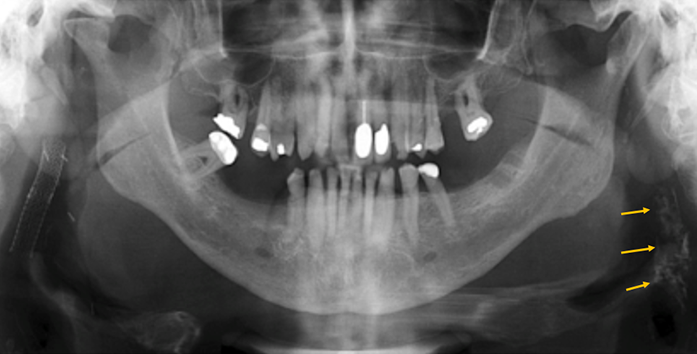 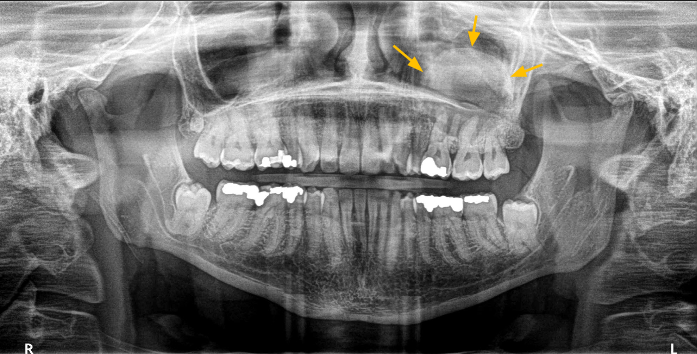 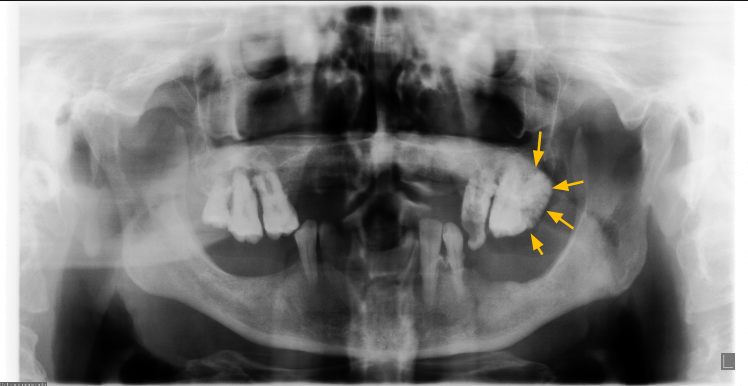 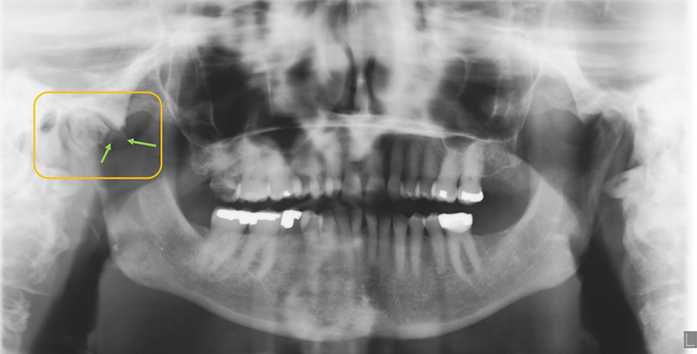 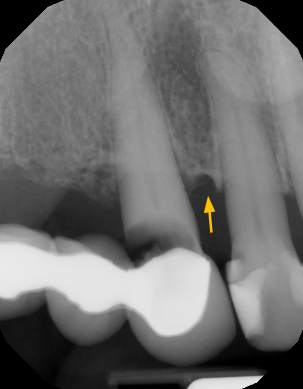 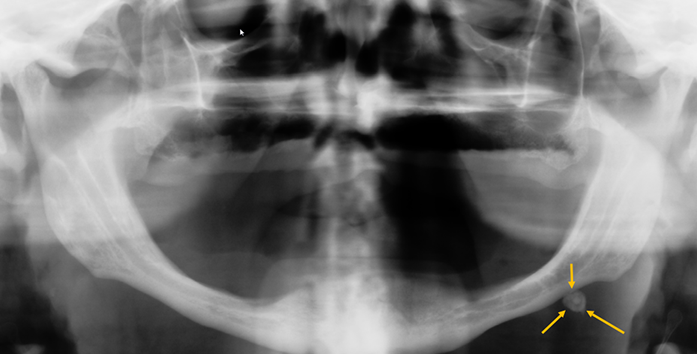 Pantomograph showing a radiolucent area (radicular cyst) associated with the maxillary right central incisor. 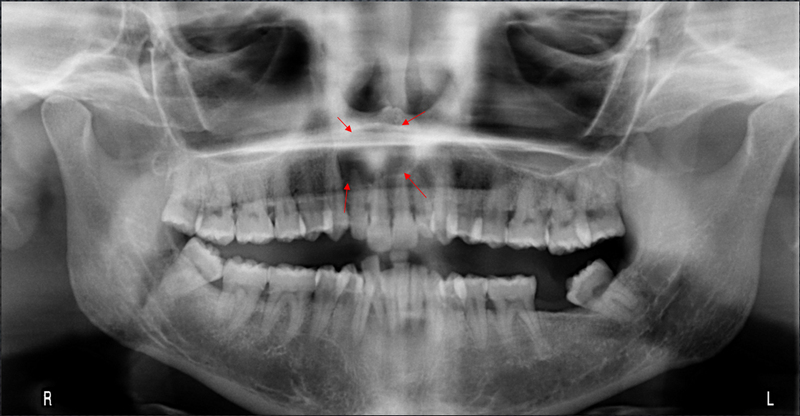 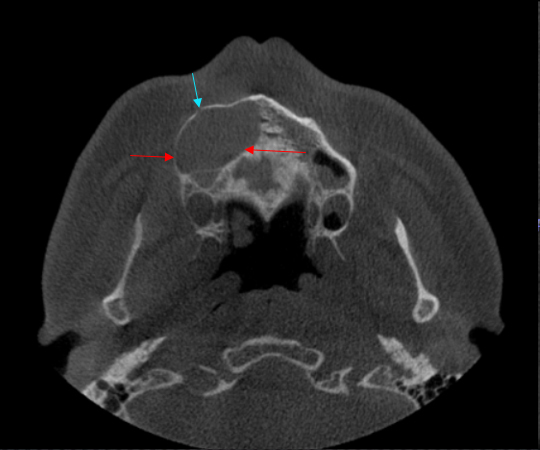 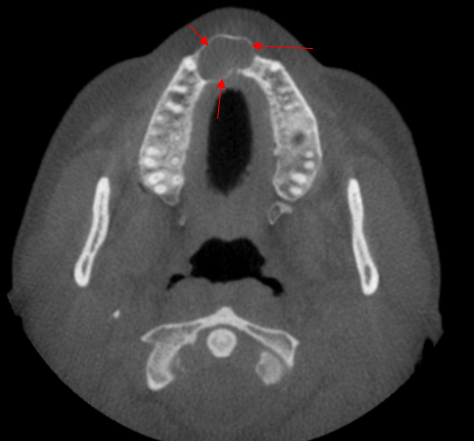 Pantomograph with a radicular cyst (outlined in red arrows) associated with the maxillary left second molar. 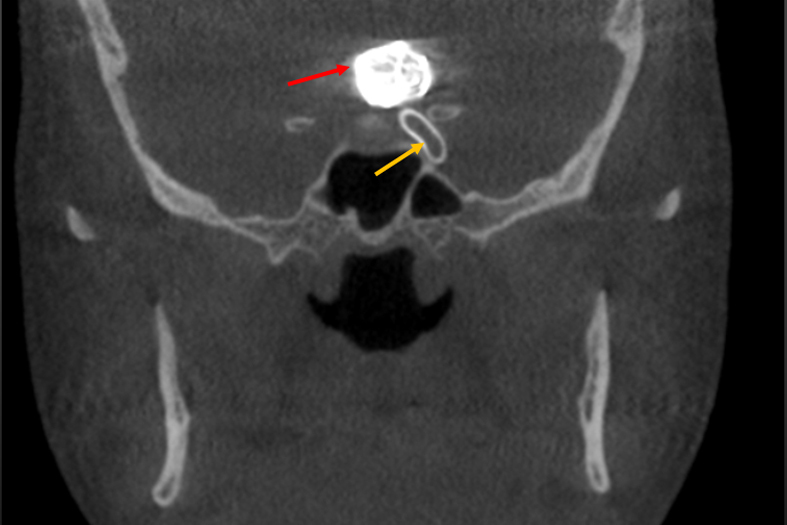 Note the mucositis associated around the cyst.